How do you want to deliver a wellness experience with your culture and values? 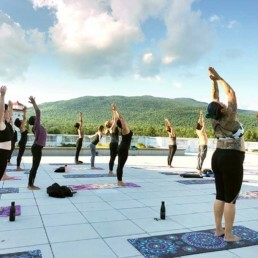 With our HH Workplace & Corporate Wellness program we can curate a one-of-a-kind experience that meets your company’s needs. 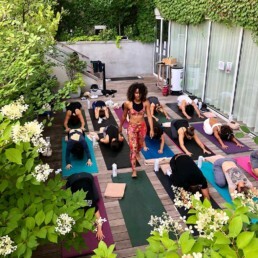 We specialize in taking an integrative holistic approach to healing, and encourage people to come as they are to access body, mind, and spirit in an authentic way. Our approach is to be as transparent and relatable as possible to create a safe space for others to receive. Wellness does not have to feel intimidating and unapproachable. Clients feel prioritized and supported in a way that elevates their relationship with your company from “customer” to “family”. Companies with wellness programs see an 8% increase in employee productivity (Institute for Consumerism). You can choose from our HH Wellness Packages as a starting point, or select as is. All of our offerings are à la carte so we work as a team to create exactly what you need. 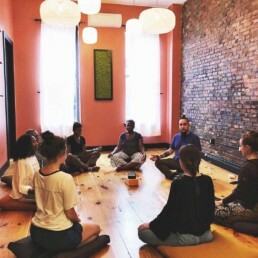 Whether it’s a weekly meditation session or a group event, we have your needs covered.